We work with the best suppliers to take you anywhere you have your heart and compass set on, from coast-to-coast or overseas. Filter your search below based on the type of trip you are looking for. Endless adventure opportunities are just a click away. For the latest pricing or to book, contact your CWT Agency. X Advance booking required. 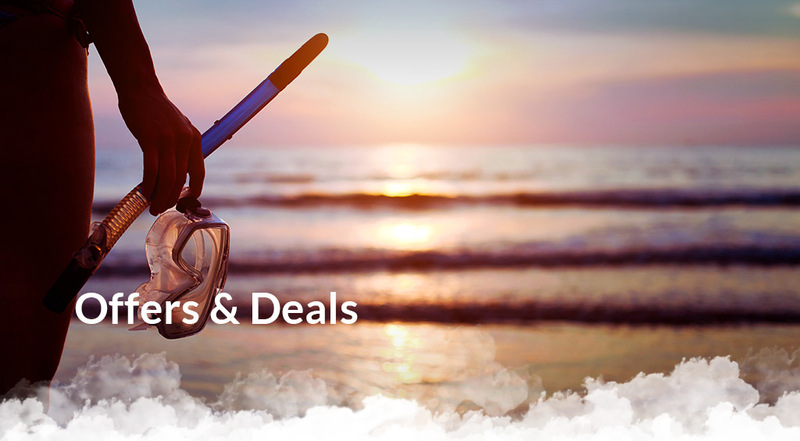 Offer valid on new vacation packages booked at select Zoëtry Wellness & Spa Resorts, Secrets, Breathless, Dreams, Now, Reflect or Sunscape Resorts & Spas when a Preferred Club, Exhale Club, Altitude or Sun Club Room category or higher is booked. A minimum 5-night stay is required. Non-refundable and non-transferable. Transfers to/from the hotel are included. Blackout dates may apply. Valid on bookings made April 1 - September 30, 2019, for travel by December 31, 2019. The Indulgence Package is normally $79 per person including children. Everyone sharing the same room must book the Indulgence Package. Valid on group bookings. Offer limited and subject to availability. Offer subject to change and expire without notice. 1Advanced seat selection does not apply to emergency exit seats and is based on availability at time of seat selection process, during booking flow or after a booking is made. 2Based on availability. 3Age restrictions may apply. Fees normally apply to the use of the marine water circuits. 4Valid on select excursions/tours. Other restrictions may apply. X *Applicable to new bookings only. Not applicable to group bookings Combinable with offers currently in place. Savings is per room per stay. Aplicable to all room categories and occupancies. A minimum 4 night stay is required. Black out dates may apply. Advance booking required. Non-refundable and non-transferable. Offer limited and subject to availability. Offer subject to change and expire without notice. Other restrictions may apply. Package price will automatically reflect the discount when searching for qualified vacations. Offer is not cumulative. Airport transfers to/from the hotel are included. Quebec licensee. OPC fees are charged at a rate of $2.00 per $1000. Mailing address: 6085 Midfield Road, Toronto ON L5P 1A2. TICO registration number: 50018683. X *New individual bookings made 45 days or more prior to departure between March 1 and August 31, 2019 for travel from May 1 – October 31, 2019. Not applicable on groups or child rates. Minimum purchase $2,400 per room (based on double occupancy excluding taxes). Minimum purchase $1,200 based on single occupancy excluding taxes, but amount would be $50 instead of $100. Not all options are available at all destinations. Combinable with most regular Transat promotions. Contact your CWT travel advisor for more details. First night FREE at select Sandals and Beaches Resorts in the Caribbean when booking a minimum 6 or 7-night* stay! More than just all-inclusive, Sandals Resorts offers a Luxury Included® Vacation experience for two people in love with quality inclusions, supremely luxurious accommodations among romantic tropical settings, world-class dining experiences, thrilling land and water sports, and the most gorgeous beaches. The moment you and everyone in your family at every age step onto Beaches Resorts, you’ll step into more fun, exotic adventures, endless choices and relaxing, world-class luxury than any other escape in paradise. Beaches Ocho Rios Resort and Golf Club, Jamaica. Book a WestJet Vacations package today! X Book by October 24, 2019. Advance booking required. Non-refundable and non-transferable. Offer limited and subject to availability. Offer subject to change and expire without notice. New bookings only. Not valid on group bookings. Other restrictions may apply. *For Sandals Resorts and Beaches Ocho Rios Resort and Golf Club a minimum 7-night stay is required. For Beaches Negril Resort and Spa, a minimum 6-night stay is required. Offer based on double occupancy. Transfers to/from the hotel are included. Valid on select room types. Quebec licensee. Ontario travel agents are covered by TICO. Mailing address: 6085 Midfield Road, Toronto ON L5P 1A2. TICO registration number: 50018683. Sandals® and Beaches® are registered trademarks. Unique Vacations, Inc. is an affiliate of Unique Travel Corp., the worldwide representative of Sandals Resorts and Beaches Resorts. Book 90 days2 early and SAVE $300 per couple. X *Only valid on new bookings of select packages purchased in 2019 for departures before December 31, 2019. Minimum 5-night stay required. Applicable to flight-inclusive packages only. Valid for any flight class cabin. 1Applies to bookings made between 179 and 120 days prior to departure. 2Applies to bookings made between 119 and 90 days prior to departure. Offer can be withdrawn at any time. Subject to availability at time of booking. Not applicable to group bookings. 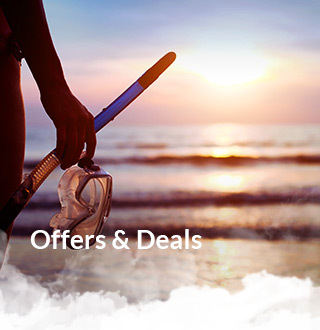 Offers expire at 11:59 p.m. ET on the date indicated. Flights operated by Air Canada or Air Canada Rouge. For applicable terms and conditions contact your CWT travel advisor. †Bonus points are awarded by Canadian Carlson Wagonlit Travel (“CWT”) when you pay with your eligible RBC Royal Bank credit card or redeem points and are in addition to the standard RBC Rewards points you earn per dollar. Bonus points are not awarded on taxes, service charges, surcharges. Conditions and restrictions apply. ®/™ Trademark(s) of Royal Bank of Canada. RBC and Royal Bank are registered trademarks of Royal Bank of Canada. Used under license. Québec residents are covered by the Compensation Fund for Customers of Travel Agents (FICAV) when booking a vacation with CWT.